Annette Yates co-runs the food consultancy Taste Talk. She is a keen supporter of local Welsh food producers and is the author of many cook-books on British cuisine, slow cooking and bread making. 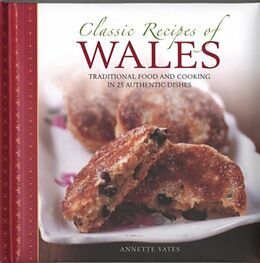 Discover the delights of Welsh food and cooking with regional classics including Welsh Rarebit, Bara Brith teabread, Laverbread Cakes and Bacon, and Katt Pie.